Changes in the wider environment have triggered a new normal for event creation. Heightened attendee expectations, a keener focus upon the return required by funders and wider stakeholders, and, of course, an ever more competitive event marketplace. Couple these with CSR, social media, globalisation and technology and the reasons event creation is now a strategic and multilayered responsibility are clear. 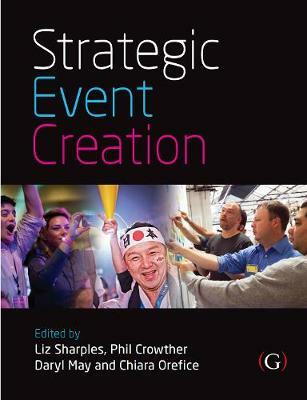 Strategic Event Creation is the contemporary textbook that recognises and articulates this changed reality for students and professionals. It moves away from an older paradigm of simply `making events work' and managing inputs to show a sector that now needs to be: outcome obsessed, stakeholder centric, strategically focused and driven by strategically aware reflective professionals. This text is based on a carefully designed framework which- * Delivers a clear overview of the key principles * Integrates theory with industry voices, cases and the practitioner perspective * Uses the lens of outcomes to anchor the role of inputs/processes/decisions/budgets * Delivers clear learning summaries and highlights key questions for reflection The broadly based and experienced author team are widely engaged with the events industry whose voice and insights inform the book throughout. It is designed to move students and professionals beyond event organising to strategic event creation. As the event industry has progressed effective event operations become a prerequisite to exist rather than a recipe to succeed. It will be an essential text for students studying Events, Festival, Conference and Exhibition Management at all levels, and also of significant use to a wide range of students in Tourism, Hospitality and Marketing. The practical 'real world' perspective means that it can help venue managers, event creators (across many areas), experiential marketing professionals and conference / training managers gain a broader understanding of the business context in which they are competing.